With summer approaching, I'm sure you're already planning your next getaway. If you plan on going camping, then better make sure you and your family are prepared with all the equipment that you may need: sleeping bags, tents, etc. 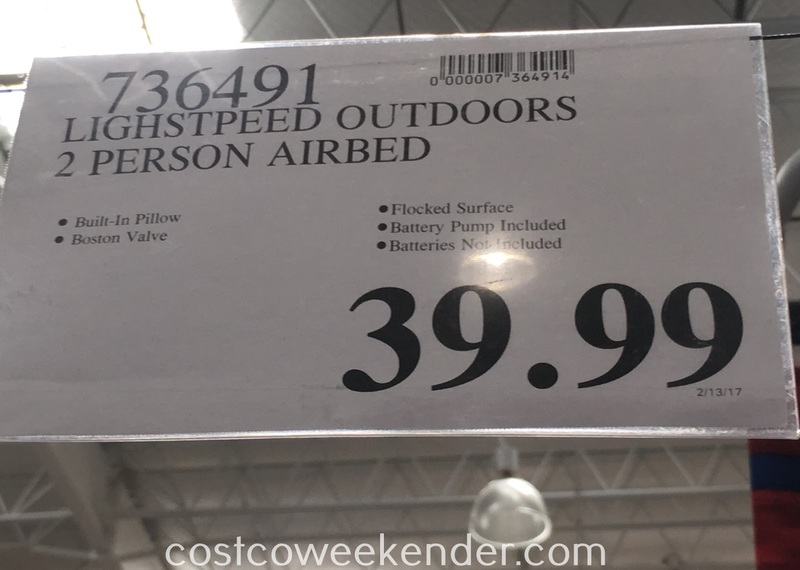 But for the ultimate in comfort, and for the sake of getting a good night's rest, check out the Lightspeed Outdoors Tranquilite 2-person Air Bed from Costco. 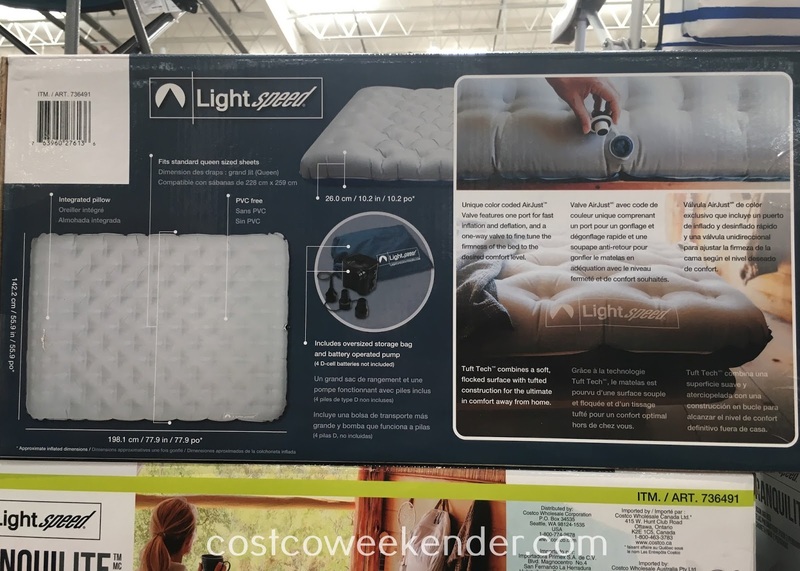 A good air mattress will give you a soft and comfortable surface to sleep on. Not only that, but it'll keep you from directly laying on the cold ground where you can lose a lot of body heat. 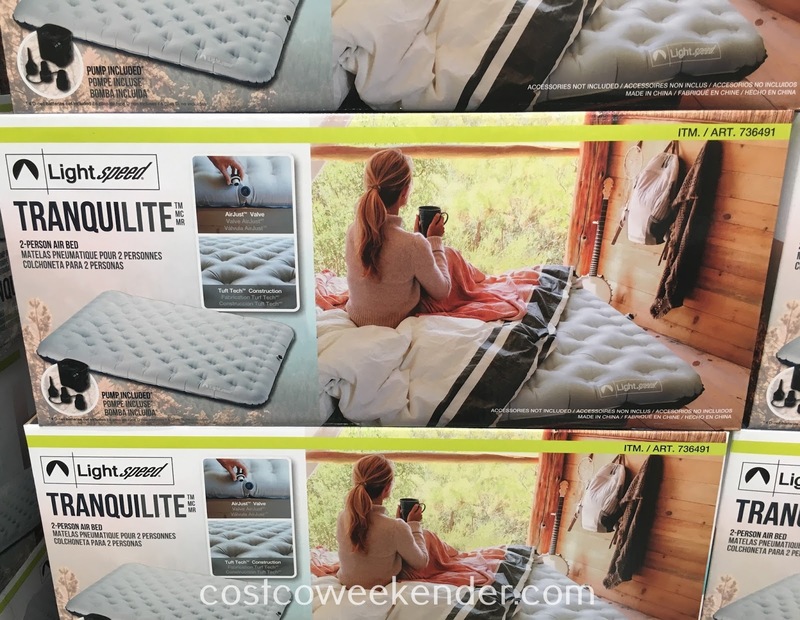 Since it fits standard queen-sized sheets, you'll find that the Lightspeed Outdoors Tranquilite 2-person Air Bed provides plenty of room for two and maybe a kid too. And don't worry about inflating the bed since it comes with a battery operated pump. Setting up a camp site will be a breeze. And when camping is done, just keep the bed in the included storage bag until your next camping adventure. Approximate inflated dimensions: 55.9" W x 77.9" L x 10.2"